We all take our very ability to look out at the world and see, feel, hear and smell with our innate senses, for granted. And sometimes I have to pinch myself into recognizing the almost supernatural gift it is to perceive. Also, that my mind and heart are singular and unlike anyone else’s. As an artist, perception is everything. What I perceive with my eyes, experience and feel with mind and heart is the source of my art. The image arrives at this intersection of experience and matter. And the artist, through the artwork, unifies perception to a form that is permanent. The subject and the object become one embedded in this ‘new’ substantial image, the artwork. 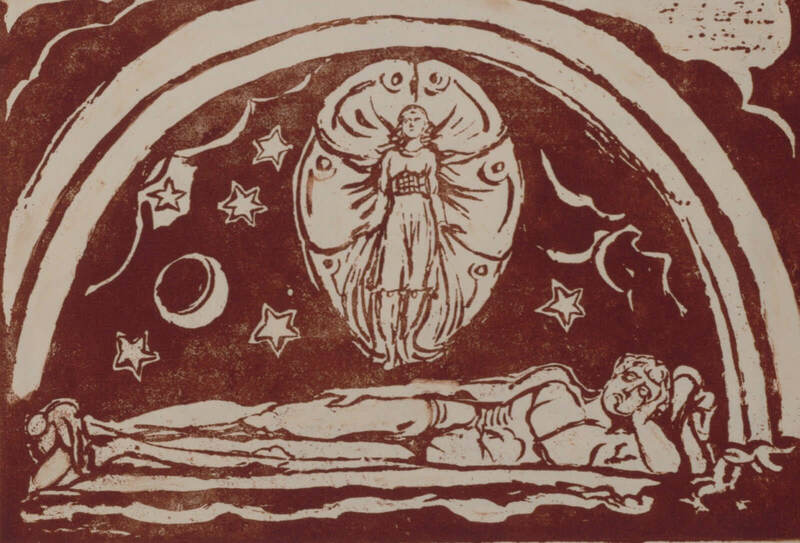 The “esse-est-percipi”, to be is to be perceived (Berkley) is William Blake’s call to honor the power of the imagination. ” To be perceived, therefore, means to be imagined…Therefore nothing is real beyond the patterns men make of reality, and hence there are exactly as many kinds of reality as there are men.” (Northrop Frye’s paraphrasing of William Blake, Fearful Symmetry, p.19) If this is true, all perception is a creative act that brings ‘life’ into matter. Perception is a mental act that is generative. Therefore all men are creators to some degree. Blake holds the artist up as having an ideal engagement with the world because the artist’s activity is to visualize and therefore to realize materially through the image a unity of perception and experience and turn it into ‘vision’. Blake believed that vision is the source of all positive change and is the path to the city of Golganooza. Golganooza is Blake’s term for the city of imaginative insight whose structure is made from the images of all artist of all time. This city will be visible when our perceptions are made clear, which he believed, would happen at the end of time. This ties in to Blake’s belief that all images are permanent and therefore all perception when tied to vision has efficacy not only on a personal level but one for humanity as well. Vision leads to freedom.